Home / Daniel Grondin / International / Politics / Spanish General Election 2016 - What's Happening? Spanish General Election 2016 - What's Happening? 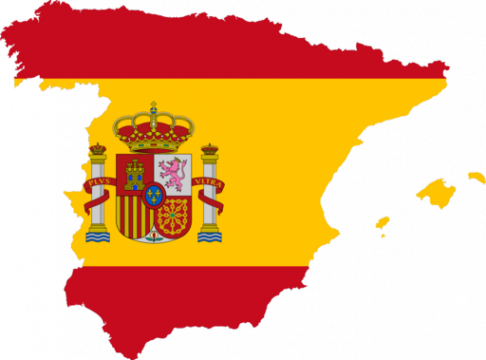 On the 26th June, Spain will head to the polls for the second time in six months to vote for their next government. The last election, in December 2015, was a stalemate – no party had a majority and none managed to form a coalition in the months that followed. This upcoming election has the potential to be the most surprising in Spanish democratic history. Or, it could be a return to normal service. To try and figure out what will happen, we first have to go back to the most recent elections that occurred on the 20th December 2015. This election sent shockwaves through Spanish politics. The two major parties, the centre-right 'PP' (the 'Popular Party'), led by incumbent prime minister Mariano Rajoy, and the left-wing 'PSOE' had dominated Spanish politics since the birth of Spanish democracy in 1975, following the death of dictator Franco. This time, though, things were different: There were two "new kids on the block". The first of these were the centre party 'Ciudadanos' (the citizens). Led by Albert Riviera, who famously used to promote the party by posing semi-naked in the adverts, they had recently emerged from the political abyss with a diverse set of policies, ranging from liberal to conservative ideas. The second party were 'Podemos' (which translates to the phrase "we can"). A left-leaning, anti-austerity party, they were led by the pony-tailed young Pablo Iglesias. He, along with other professors and students at the Universidad Complutense de Madrid, founded the party in 2014. Initially, it soared in popularity before dropping off. Would the "remontada" (comeback) it's supporters insisted was coming take place in time for the upcoming election? Due to the emergence and growing popularity of the two new parties, many expected a close election and believed that the incumbent Popular Party would struggle to hold onto their majority in the 'Cortes Generales' (Spanish parliament). However, the usurpers were more popular than the old guard had predicted. Rajoy's 'PP' remained the largest party, but lost 64 seats (187 to 123) and their majority with them. 'PSOE' finished second, but they too lost seats, dropping from 110 to 90. 'Ciudadanos' went from no seats to 40 with 3.5 million votes, an impressive feat. However, 'Podemos' really shook the political foundations. They went from zero seats to 69, with 5.2 million votes. A "remontada" indeed. Despite retaining the top two positions in terms of Spanish political parties, this was a disastarous night for the two major parties. Not only had 'PP' lost their majority but it was their worst result since 1989. 'PSOE' too suffered a terrible night. In fact, this was their worst result since the founding of democracy in Spain. Months of negotiations followed this election. However, no parties were willing to form a coalition, thus another election has been called. What has changed since? 'Podemos' and 'PSOE' discussed a possible left-wing coalition, but talks failed. Instead, 'Podemos' have become Unidos 'Podemos' for this election, joining with United Left (IU) and Equo in an alliance. All of the four parties have retained their leaders. Despite all of this, many believe that 'PP' will still be the biggest party coming out of this election, and may even pinch a majority. The popular opinion is that 'Ciudadanos' will also stay as the fourth biggest. The big shift a number of pollsters are predicting is that 'Podemos' could unseat 'PSOE' as the second largest party in Spain, pushing them back into third and showing the left's, and many of the population's, desire for change. Only when the results are announced, however, will we know if the era of two parties in Spain is coming to an end, of if this is a mere blip.